Everything you would expect to find in an ‘all year round’ French village is here, including a supermarket, butchers, bakers, post office, pharmacy, bars and restaurants. Also located in St Jean d’Aulps is the “college” or secondary school for the whole area. St Jean D’Aulps is a very popular area to buy and rent property. During the year there are a number of fetes held from the “wine fair” (a 2 day event!) the Medieval fair in the grounds of the historic Abbey D’aulp to Accordian festivals providing a great source of entertainment. There is a regular bus from the centre that will take you to Morzine, Les Gets or Ardent Lift for €1 per trip. The town benefits from its own ski area called the Grand Terche. With only 30km of pistes it is ideal for families and beginners providing a far more relaxed pace of skiing. There is also a free bus which will transfer you to the Grand Terche from St Jean d’Aulps. The area has been popular with UK buyers who have realised that you will get a lot more for your money here than in Morzine whilst not losing out on any of the benefits in the area. Properties here vary from old farmhouses to new build chalets with less apartments. 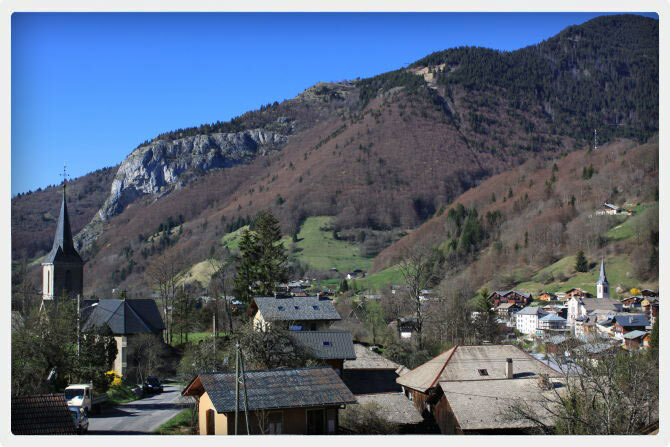 The Grand Terche which overlooks St Jean d’Aulps offers a far greater option to purchase an apartment also at a fraction of the price of Morzine. There are a number of bars and restaurants within the Grand Terche which are all popular with the locals for après ski or a drink enjoying the late summer sun. Interested in buying properties in the St Jean D’Aulps & La Grand Terche area? We have a great selection of properties to buy and properties to rent. If you would prefer to speak to us about your full property requirements, then please call us on +33 (0)4 50 79 13 09. We are the only French Agency in the area which offers Qualified Property Professionals from both France – Master Droit Immobilier et Urbanisme and UK – Chartered Surveyor, Royal Institute of Chartered Surveyors (RICS).